No further details are being released at this time due to an active on-going investigation by Lapeer County Sheriff’s Deputies. On Friday 08-05-2016 at 9:48 AM, Lapeer County 911 received a call from a female individual who lived on Briggs Road in Otter Lake. The caller stated that they stabbed another person within the residence and themselves. Lapeer County Sheriff’s Deputies responded and confirmed that two people were stabbed. The parties are related (immediate family members). There were no suggestions that the stabbing was the result of an altercation (either physical or verbal). 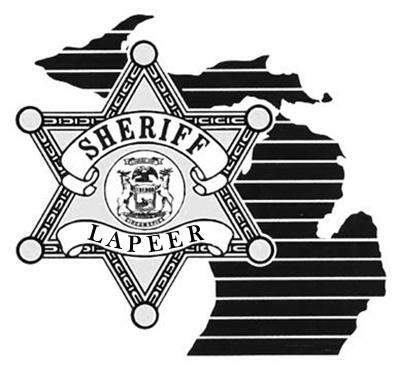 A 57-year-old female from Otter Lake and a 24-year-old male from Otter Lake were transported to McLaren- Lapeer. The male underwent emergency medical treatment at McLaren- Lapeer for life threatening injuries. The 24-year-old male was pronounced deceased at 12:37 PM. The 57-year-old female was treated at McLaren- Lapeer for non-life threatening injuries. Deputies lodged the female in the Lapeer County Jail around 3:30 PM. The Lapeer County Prosecutor’s Office issued an arrest warrant criminally charging the 57-year-old female with open murder. The individual was arraigned in the 71-A District Court of Lapeer around 4 PM and has been remanded to the Lapeer County Jail with no bond. Lapeer County Sheriff’s Deputies were assisted at the scene by Michigan State Police Troopers from the Lapeer Post. This remains an active investigation by Lapeer County Sheriff’s Investigators. Names are being withheld at this time to allow family time for notification and not compromise the ongoing investigation. Further details may be released at a later time. Friday 08-05-2016 at 9:48 AM.